Welcome back to the PAX West Fifty-Game Frenzy, where I run down a grand total of 50 Switch games I played at PAX and you can decide which ones pique your interest! Last time we saw what Merge Games and Inti Creates had to offer at the show. This time, we’ll be looking at a bunch of games showcased at the MIX (Media Indie Exchange) which was a day-long display of the finest indies the expo had to offer. Introduction’s over; on with the show! 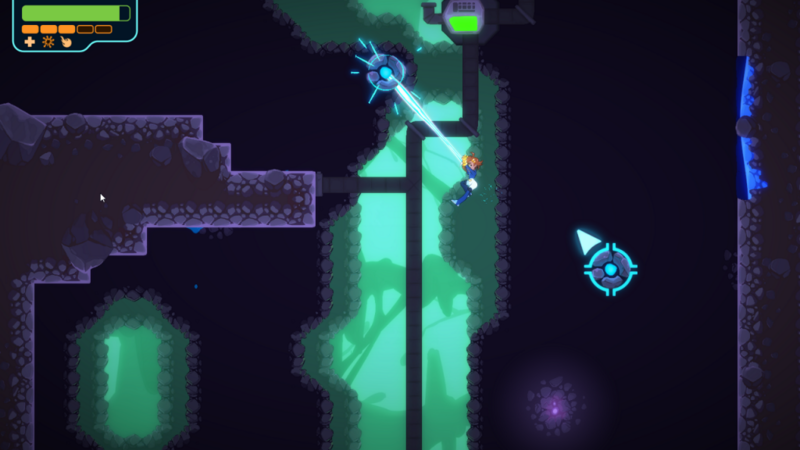 Combination of action-platformer and intergalactic police investigation game. From the makers of Runbow comes a genre mashup that I’ve never seen. Double Cross is a unique mix of combo-based fighting, grappling platforming, and crime investigation. So Bionic Commando meets… Phoenix Wright? Color me intrigued for the adventures of officer Zahra Sinclair, space cop. While I only got my hands on the actiony portion, I saw a great glimpse of the creativity that made Runbow so enjoyable. Grappling is so smooth and easy that I was zipping about before I knew it, and the game seems to sport an ample upgrade system for high customizability. I’m excited to see what comes of Double Cross, as it’s quite a departure from 13AM Games’ previous co-op focused work. Cinematic visual novel about a cafe where the dead can return to life. 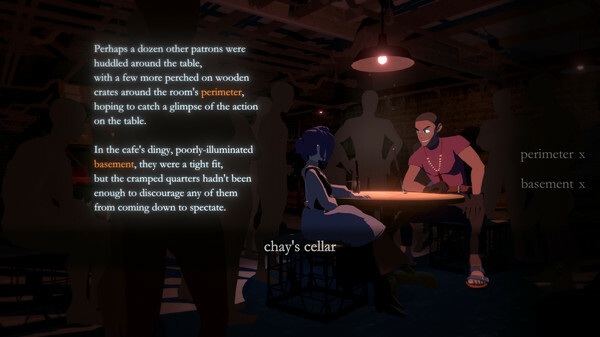 Necrobarista is a visual novel that breaks away from the genre’s more typical framing and UI to offer a more filmic style, complete with cinematography and everything. Following a mysterious Terminal in Melbourne where the dead can come back to life, the game charts the exploits of one particular barista who can harness the otherworldly to her benefit. With its highly shadowed anime style and purple prose, Necrobarista is a VN that utilizes its camera angles and long wordiness to impart a gloomy yet enigmatically inviting atmosphere. While this isn’t usually the kind of genre that demos well, the brief glimpse of the story and writing style has me on board for this train. If you’re into story-heavy games, check this one out. Competitive shmup where you can turn into the boss on your opponent’s screen. At some point, somebody will find a way to make any kind of game competitive. Rival Megagun is a competitive shoot-’em-up that begins as you might expect — competing against similar waves of enemies to see who dies first or racks up more points — but it has the wholly unique angle wherein you can transform into a stage boss (Mega Gunship) who attacks your opponent on their screen. The concept alone makes for an engaging experience, but the extra bells and whistles — smaller attacks you can inflict upon your opponents, a clean pixel art style, and multiple varied ships to choose from (including one whose pilot looks like a familiar pink puffball) — make this a dogfight you won’t want to miss. Co-operative “switching” auto-runner where you command who’s in the lead. Here’s another game which is likely to make some frenemies. Joggernauts has each player take control of a different creature in a conga line, who takes the lead at a push of their button. Only characters of the same color can pass through enemies and over platforms, but you can’t dictate when other players move to the front. Think of it like a rhythm game (bit.trip Runner comes to mind), except you only have half or less of the controller. Wrapping your mind around the experience that is Joggernauts takes some getting used to, but it builds a bond like nothing else can. You’ll laugh. You’ll shout. You’ll be frustrated at your partner, but moreso at yourself. Another solid addition to the list of unique co-op games I played, and definitely one of the titles that stands out more in my mind. Platform fighter where you can swap colors to become invisible — to others and yourself. 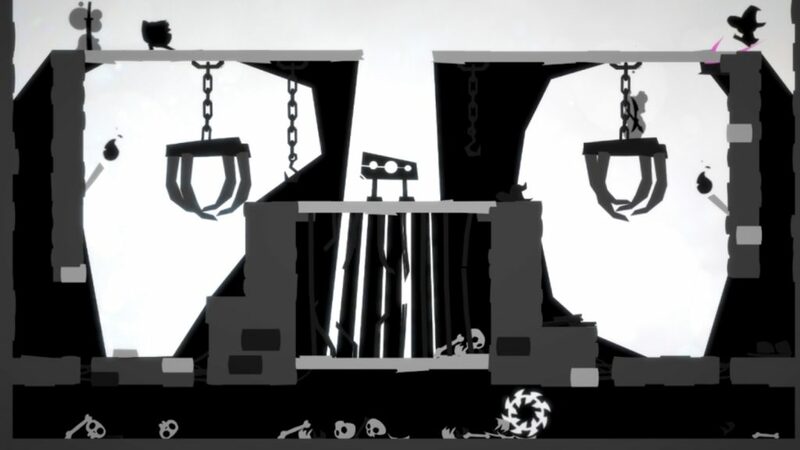 Shadow Brawlers is the monochromatic party fighter that you’ll never see coming. It’s a one-hit, one-kill affair with quick rounds and short attack ranges — the twist is that you can swap your character’s color at will, blending into the background seamlessly. The only way to detect you is by watching subtle tells for movement, testing your perception, reaction, and skill. Do you make yourself visible to gain your bearings while running the risk of getting ganked from behind? It’s up to you. This basic concept elevates Shadow Brawlers to an intense experience where you can never be too wary of your surroundings. Between this, Towerfall, and Retimed, the genre has a lot going for it on Switch, and I hope that its more inventive style and concept allows it to stand out from the pack. That’s all for today! We’re coming up to the end of the Frenzy… I think I’ll miss it. Until next time! Gamer, writer and devourer of pasta. 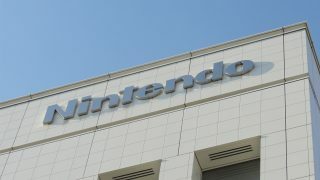 Whenever not letting his daydreams run out of control, he can be found writing for Nintendo Wire, playing old JRPGs, or reading sci-fi and fantasy novels and comics.